The collective consciousness is a set of shared beliefs, ideas and moral attitudes that operate as a unifying force within society. This occurs when the anima (feminine desire within men) and animus (masculine desire within women) comes into balance and harmony with each other. By awakening and healing the archetypal stories held in the collective unconscious mind we can move forward into collective consciousness. As the collective consciousness grows, the collective unconscious diminishes until we become unified, whole and healed. To awaken the collective consciousness requires us to step out of fear and learn to trust in the lanquage of our heart. By opening our intuitive third eye we can begin to connect to others is ways we had not thought possible. In this state of unity consciousness each person and culture retains and respects the uniqueness of others. This is necessary for the continued evolution of the soul and for humans as a species. As we awaken together, we heal the wounds and stories of our ancestors throughout time for generations to come. Message: Trust in your knowing and transform your knowledge into wisdom. You are now seeing what the great sages of the world have been teaching for thousands of years. Let compassion, love and nonjudgment reframe your awareness of your life and those around you. Take another look at something you had dismissed and see it from the perspective of the compassionate soul. The third eye chakra is located in the middle of the forehead connecting us to our sensory system. This is the place of intuition, inner knowing and conscious dreaming. It represents the middle world of the tree trunk standing fully present in the moment. 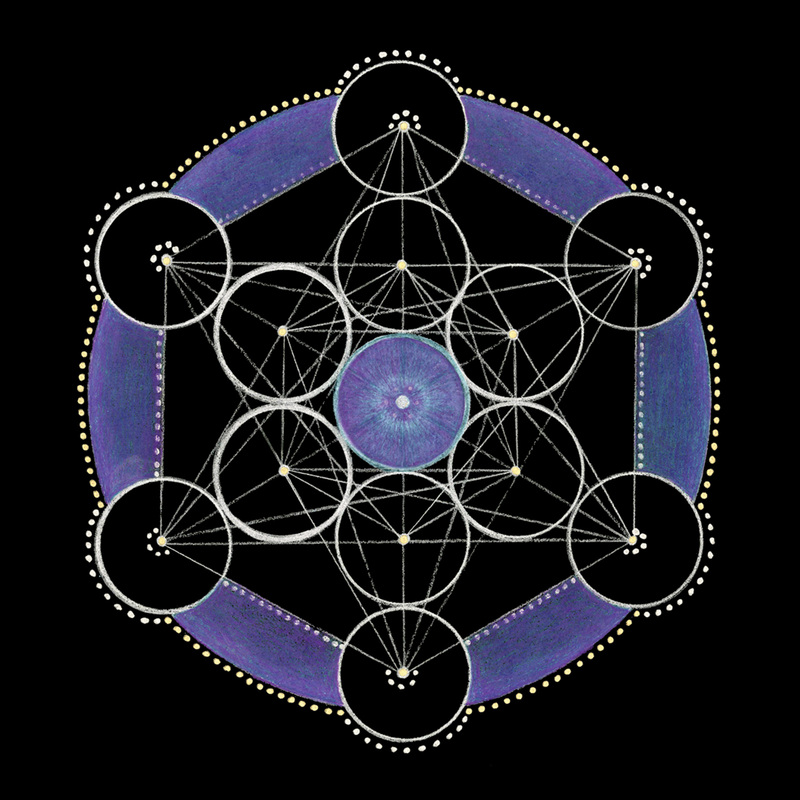 In sacred geometry, it is Metatron’s Cube that reveals the elemental structure of nature as the building blocks of life. Its element is ether which represents the invisible energy of space. Its belief is based in the wisdom teachings of Jesus. The third eye chakra has the ability to awaken the collective unconscious to become conscious. By bringing the logical and intuitive self together we can see our world through the singular eye of the soul.